Looking for a hostess gift, holiday gift, or something special for someone special? 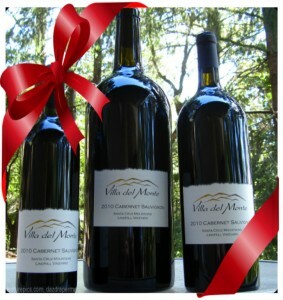 We have limited quantities of Magnums and Jeroboams available for order on our web site. Although the winery will not be open for wine tasting until January 30/31, we can make arrangements to hold wine orders at the winery for pick up before December 20. Alternately, you can request shipping when you place an order. Everyone gets the Wine Club Discount—This Weekend Only!